You see it at every business event. People spending as much time staring at their mobile devices as the presentation in front of them. Whether they are responding to work emails or scrolling through their Instagram feed, it’s clear that today’s meeting attendees’ attention is divided. 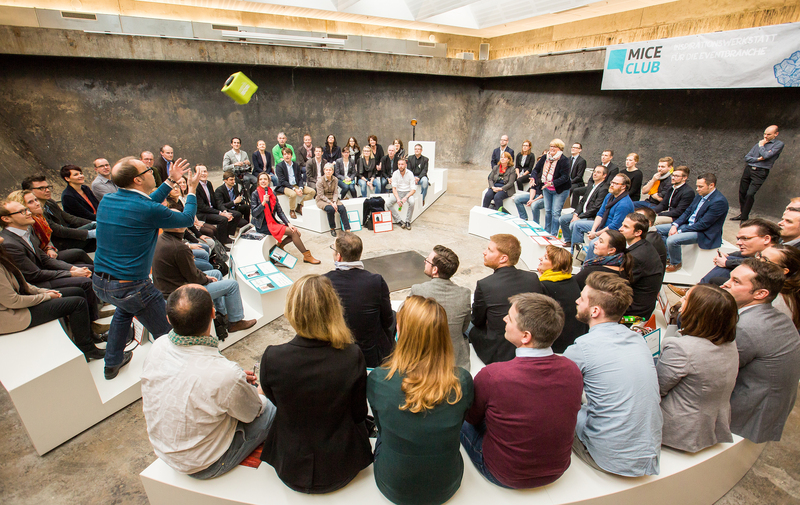 In a large audience, creating engagement is a challenge. With that said, as technology advances, event planners are leveraging personal devices to take back the audience through digital and personal engagement tactics. Buzzmaster: With this Web-based platform you can get the entire audience involved with the conversation – even in large settings. The technology turns attendees’ smartphones into tools for real-time interaction, with the products of their engagement appearing on a video wall alongside the presenter. Through open or multiple-choice questions, statements, a quiz and more, the audience becomes part of the conversation. Buzzmaster boasts 80 percent or higher audience participation because it enables the speaker to take new directions on the fly as the crowd asks questions and responds to discussions. The audience can actually see comments appear on the screen as they’re typing. As an additional benefit, you can customize the display to align with branding themes. Glisser: Break the monotony of PowerPoint and keep your audience engaged with Glisser’s audience response system. Through live polling, digital Q&A, Twitter walls and more, attendees participate and interact – keeping attention and retention high. To participate, attendees download the app. Speakers boost participation by live-sharing presentations to attendees’ mobile devices for a second-screen experience or other audience engagement techniques. And, every interaction your participants make contribute to a powerful set of analytics to measure event ROI. 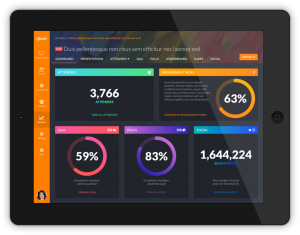 Catchbox: It’s one thing to interact with your audience as they type comments and questions through their mobile device or laptop. It’s something else entirely when a speaker can actually engage in a conversation with a member of a live crowd. The Catchbox throwable microphone gives your audience a voice and encourages attendees to speak up, as many people may feel less intimidated when they’re in the crowd instead of in front of the mic. 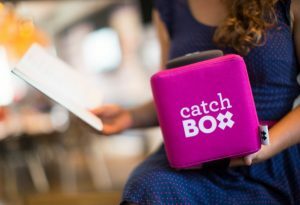 Catchbox lowers the mental barriers so that the audience feels free to present comments and ask questions. 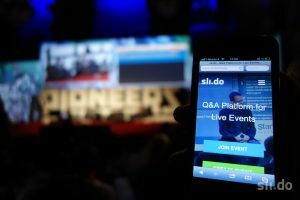 Slido: A web-based application that does not require downloading, Sli.do offers live Q&A, polling and presentation slide features that allow meeting participants to directly interact with the presenter. 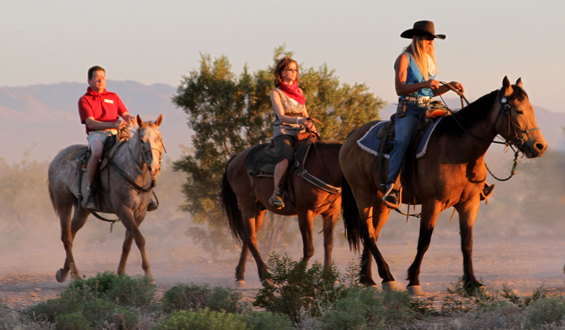 Participants join by going to slido.com and entering a custom event code. Enhanced features allow participants to comment on each other’s questions, identify the most influential users at an event and use the platform in multiple rooms. Its analytics feature is useful for marketers to secure insights on attendee behavior with comprehensive event summary reports and interaction data. 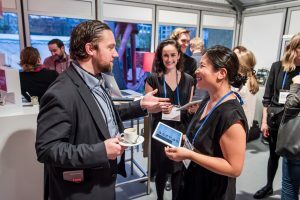 Braindate: Beyond business cards and networking cocktails, what if meeting participants could skip straight to the meaningful conversations that should happen at events? Through the digital matchmaking platform Braindate, the app uses detailed algorithms to pull from attendees’ profiles, helping connect people with like-mindedness interests. Attendees check in and meet up with their connections in designated on-site areas. Planners also benefit from Braindate’s reporting mechanism that highlights areas of importance to event participants. A valuable tool for event ROI and future planning. Besides – why should Match.com have all the fun? Braindate is a continuing partner with PCMA Convening Leaders. Notable. Connecting audiences in a large setting can be a challenge you can overcome when you use tools and technologies intended to make the experience more interactive. What are some of the ways you’ve seen presenters engage with audiences in this type of environment? We’d love to hear your insights in the comments below.